Home Scandal and Gossip Alec Baldwin Leaving Hollywood? According to some, the Mayans predicted that the world will reach the apocalypse in the year 2012. I wonder if they also foresaw Alec Baldwin leaving Hollywood that same year? Alec Baldwin has had an unbelievable few years with the success of the sitcom “30 Rock.” He is even due to host the 82nd Academy Awards with Steve Martin. His success seems to have even erased the controversy that cast him in a appalling light, when he called his daughter a “thoughtless little pig” two years ago — (I’m sure Chris Brown is taking notes). Yet, he stated, “I don’t have any interest in acting anymore. Movies are part of my past. It’s been 30 years. I’m not young, but I have time to do something else. It’s a difficult thing to say, but I believe it: I consider my entire movie career a complete failure. I’ll tell you why. The goal of moviemaking is to star in a film where your performance drives the film, and the film is either a soaring critical or commercial success, and I never had that.” If everything goes according to his plan, when his contract with 30 Rock ends in 2012, that will be the last we see of him. 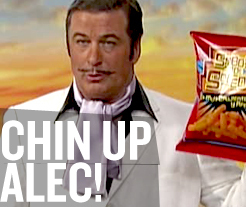 Alec Baldwin Threatens To Leave Hollywood, Is He That Desperate For Attention?